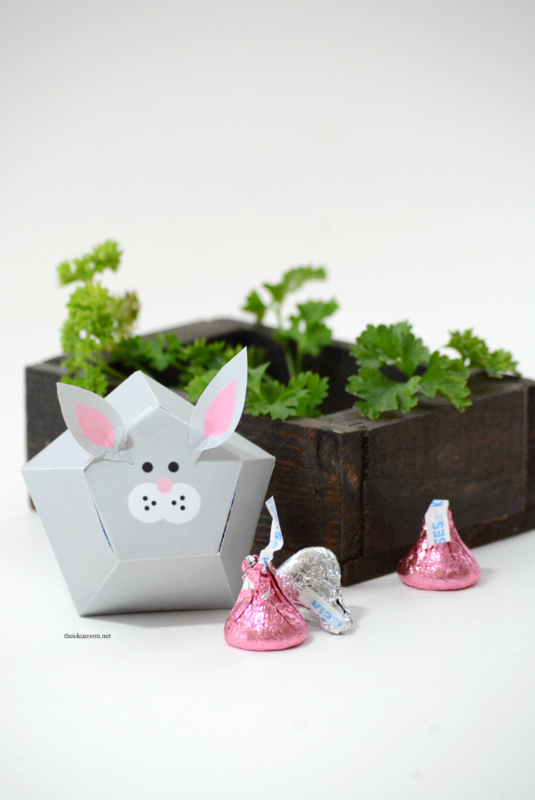 I have a fun Easter Craft to share with you today. 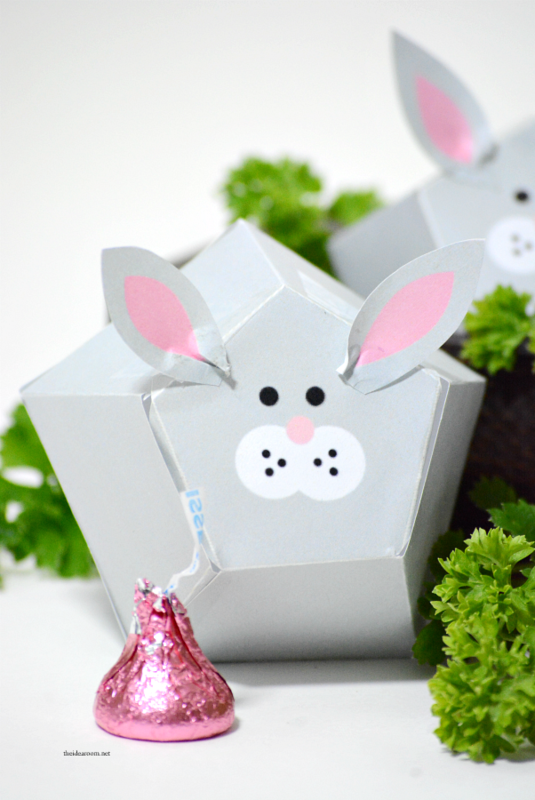 These Easter Bunny Treat Boxes are fun to make and can be used as a small Easter Gift filled with your favorite Easter Candy or Chocolate. Who doesn’t need more Chocolate in their life…can I get an amen?! 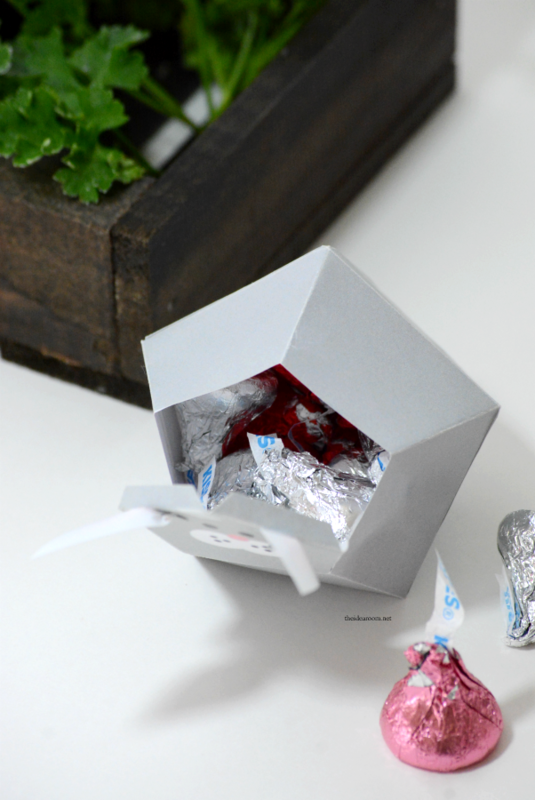 I have always loved origami and paper crafts and so creating a 3D geometric box is always fun. My kids have also been enjoying making “boxes” out of paper and teaching each other how. So I got to thinking how fun it would be to turn one of them into an Easter Bunny for Easter this year. 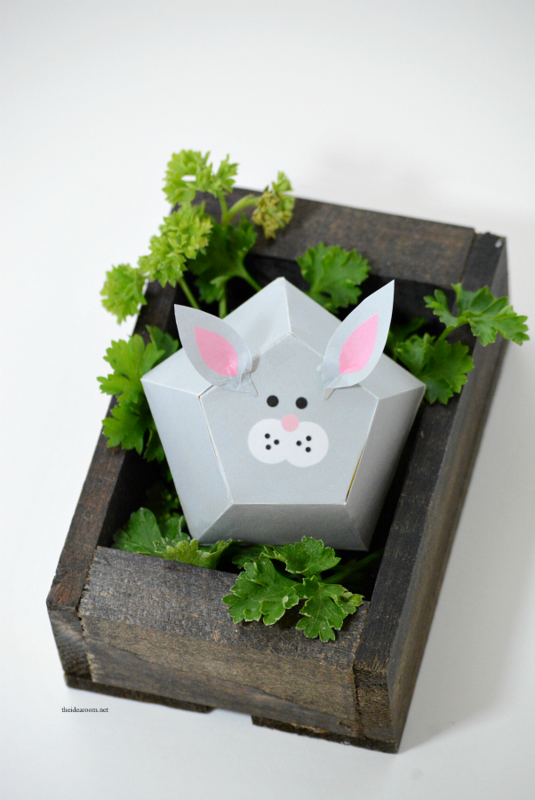 The kids had some geometric templates for some different shapes and I converted one into this cute little bunny rabbit. All you have to do is print out the template on some white card stock or regular printer paper and then cut out the shapes. Cut very carefully around the edges and then fold precisely on the lines. 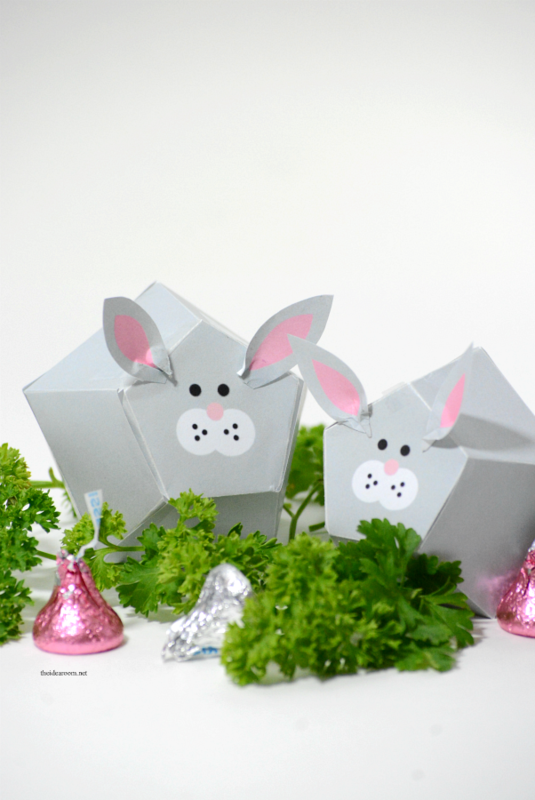 The more precise you are in your folding, the better your Bunny Box will turn out. 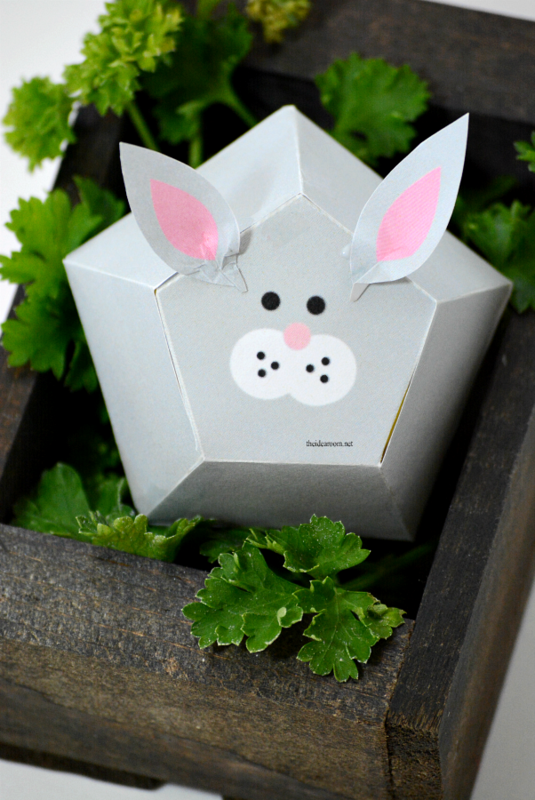 Then use a glue stick and glue the little flaps to the sides of the box with the flaps on the inside of the bunny so you do not see the seams. Cut out the ears and pinch the bottom of the ears together to get them to curl on the edges by adding a little dot of glue where you have pinched the paper together. Then glue them onto your Easter Bunny. I just taped the “lid” of the box (or the bunny face) closed so that it can be opened to add candy or eat it! Give them to your Grandkids, use them as a table place setting by adding your Easter Dinner’s guests names on the bunny, or use them for the Easter Baskets! They really can be used in a lot of different ways…you just have to use your imagination! Did you enjoy this post? Pin it and save it for later! Thanks! Love this! I teach crafts once a month at our local nursing home and think the seniors may be able to do this one. Thanks! That is so fun! Hope your seniors love it! so simply cute! thank you for sharing.